This is a curved rectangular Bob White Soap porcelain sign. This particular Bob White Soap features a box of Bob White Soap set against a navy blue background with orange text. 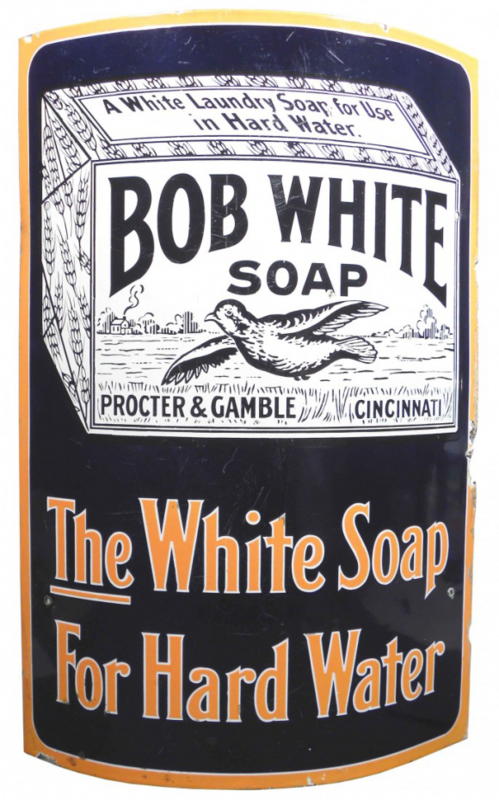 It reads, “Bob White Soap, Procter & Gamble, Cincinnati, The White Soap For Hard Water”.